A geeky dad running to get fit, w/ a love of Disney. Half Marathoner, #WeightWatcher point counter, #runWalk, #TeamRunDisney, blogger, gadget lover. I announced some time ago that I'd be running the Dopey Challenge this year. When I decided I was going to run this four race challenge, I also decided I wanted to try and make a difference by running for a charity. 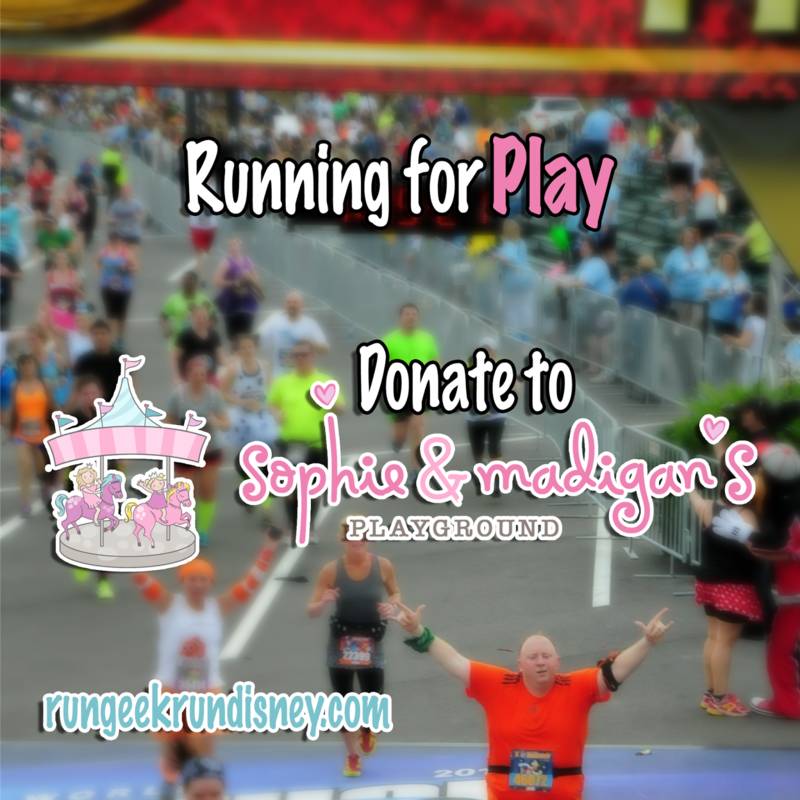 When looking over the charities partnering with runDisney during the Walt Disney World Marathon Weekend, I found one that felt personal to me: Sophie and Madigan's Playground. What's the charity all about? 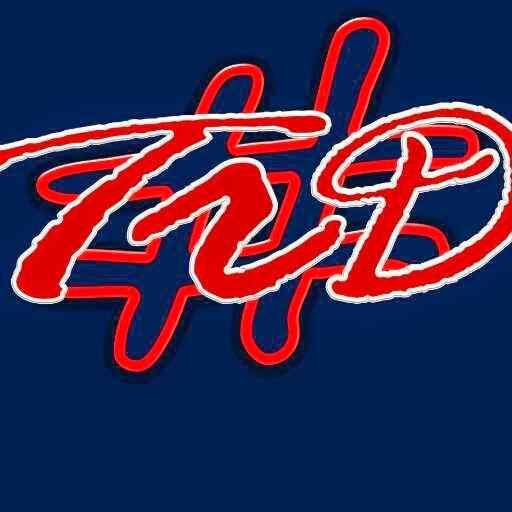 Sophie and Madigan's Playground is a 501(c)(3) charitable organization created to honor the lives of Sophie and Madigan Lillard. Their mission is an uplifting one, but not without a heartbreaking background. On January 31, 2013, the Lillard family of Myersville, Maryland was struck by unthinkable tragedy when a horrific house fire claimed the lives of their daughters Sophie and Madigan, killed the family's four pets, destroyed their home and virtually all the family's possessions, and hospitalized the surviving family members. As Sophie and Madigan's parents struggled to cope with the loss of their daughters, they looked for a way to honor the memory of Sophie and Madigan and pay tribute to the joy Sophie and Madigan brought their family and friends during their too short lives. Having lost all their possessions, the Lillards were left with no physical reminders of Sophie and Madigan...none of the toys Madigan and Sophie played with, the clothes they wore, their hand drawn pictures and art projects, their favorite books, handmade jewelry...the list goes on and on. The Lillards were struck by the harsh reminder of how important memories are, especially those memories that a family creates together. At the same time the Lillards were coping with this horrible loss, they were touched by the outpouring of support provided by the greater Frederick County, Maryland community that was rocked by the tragedy. The Lillards realized that by creating a memorial park and themed playground, they could create a place that honors Sophie and Madigan in a way that reflects their personalities and spirits, while at the same time provide the community with a place where children and their families could build memories together that last a lifetime. The Lillards created Sophie and Madigan's Playground in June 2013 to honor the lives of Sophie and Madigan by providing opportunities for children and their families to play, learn, and create lifelong memories together. Having two children of my own makes the mission of this charity personal to me. I think giving other children and families happiness is a great way to honor the memory of Sophie and Madigan. In racing for Sophie and Madigan's Playground, I have a fundraising goal for $1,100. You can help by donating on my runner page. 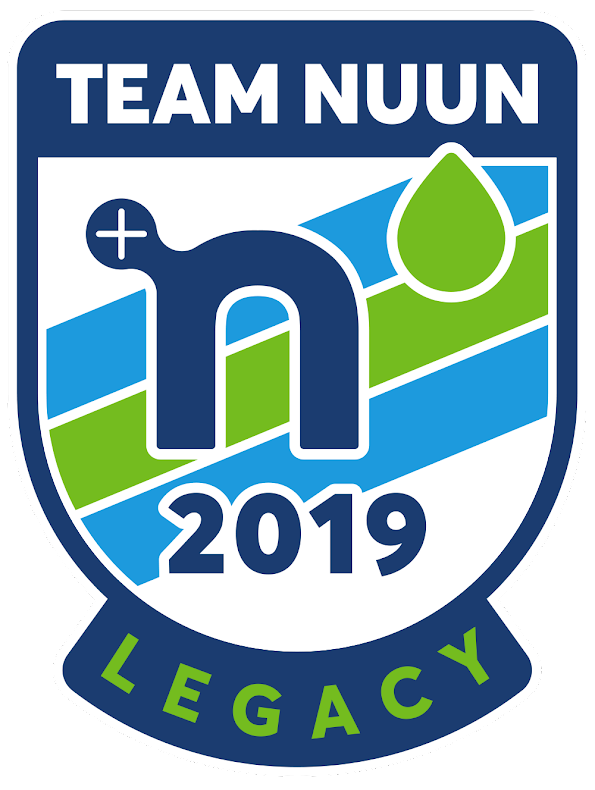 While the good this money will do for the mission of the organization is reason enough to donate, I'm going to offer you additional incentives, in a Kickstarter "perks"-like fashion. Based on levels you donate, I'm going to offer you some extra rewards as my personal thank you. 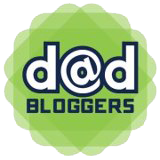 First and foremost, I'm offering a giveaway to any donors of at least $5. 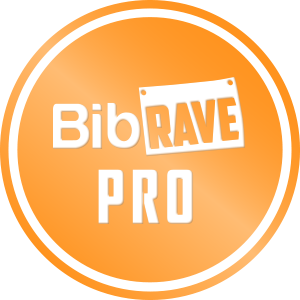 For each $5 you donate, you'll earn an entry for a giveaway package, to be drawn in conjunction with Walt Disney World Marathon weekend. That means $5 gets you 1 entry, $10 gets you 2, and so on (maths people). I'm still reaching out to some brands, but I'll be giving away a combination of items donated by companies and ones donated by myself. I am hoping to have some goods from many of my favorite brands to share with you, plus a little something from Disney, to put together the best giveaway I can. But even if you don't win, you'll have helped Sophie and Madigan's Playground, so that is a guaranteed win. Every donation will come with a heartfelt thank you on my website. A little electronic piece of long lasting thanks in 1's and 0's. An electronic monument to your generosity. A little corner of the internet that says "All these people here are good people helping others". Who doesn't want that? The next reward is also electronic, but I'll shout my thanks to the internet beyond my site and into the world of Twitter, Facebook, Instagram, and even reddit if I need to! I'll tell the world of your good deeds and of my gratitude, shouting from an electronic rooftop with @'s and #'s and missing punctuation in order to stay below arbitrary character limits. One fun thing I love about Disney is all the trading pins they have. I love collecting pins for Disney hotels I stay at, ones with my favorite character (Goofy), and attractions I love. When you have Disney Trading Pins on property, you can actually trade pins with cast members throughout the parks and resorts (hence the use of "trading" in trading pin). You can take any pin of yours that you're willing to part with and trade for any pin from the cast member. I'm going to offer you one of my own assorted pins, as a thank you for a donation of $25. One thing I love about runDisney is the number of race costumes. 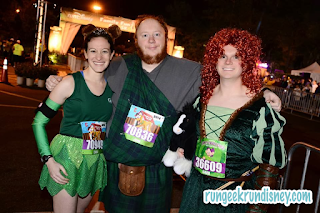 Yes, other races have people who dress up to race, but not to the same extent and fevor of those at runDisney races. I plan to dress in some version of a costume for all 4 races. Granted, longer races require less "costume" and more "inspired by" or Disney-bounding style outfits, but I still plan to do all that I can do. I'm going to offer up this to any potential big donors: you can have the opportunity to pick who I race as for a race. The preference is, of course, to do Disney first, but exceptions can be made. You pick what my costume will be and I'll find a way to make it work. That means I will pick the actual outfit for what works for me, meets the race guidelines, and in good taste (that does not mean no princesses, just that I'm not running in a bikini). Not sure what to choose? I'll gladly throw out some options as idea starters, as I keep a running list of ideas. This offer is up for grabs for up to 2 people who donate at least $150. 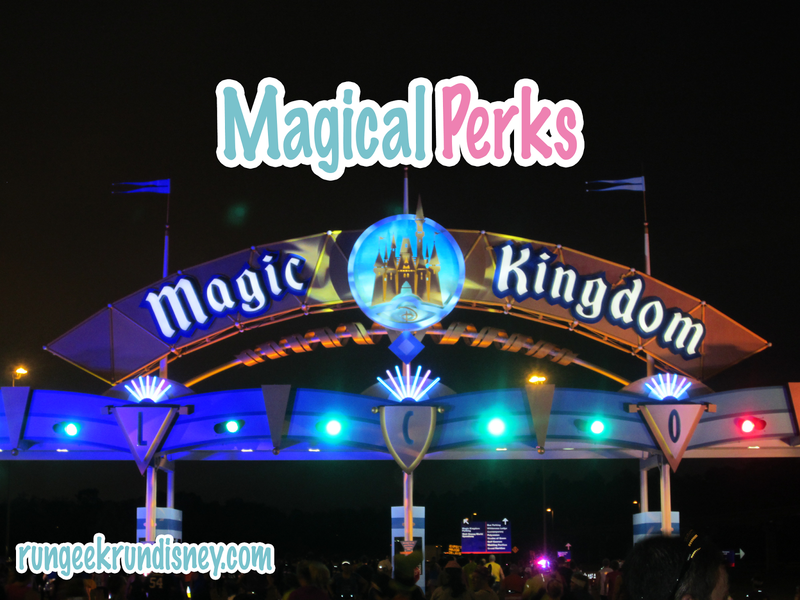 Of course, I'll also throw in ALL the other perks above and plenty of thanks (and photographic evidence!). I've listed the rewards here in increasing value, but they do stack. That means if you donate enough for a postcard for yours truly, I'll also send you a pin, call you out on social media, and list you here on the blog. This is about showing my thanks to you and hoping you'll consider to donate to this great charity. Donating is easier than obtaining a FastPass for Frozen: Ever After! All you need to do is head over to my runner's page and selecting "Sponsor Me". Then, all you have to do is fill out your information and decide how much you want to donate. Submit and you're done! You've helped me and, more importantly, you've helped out Sophie and Madigan's Playground. Now, some of my perks require me sending you a little something or needing your social media account. So, for all of these, you'll need to drop me a line. You can choose to send me a message via Twitter, Facebook, or an email via john at rungeekrundisney.com. Since I don't control the page you donate through, this is the easiest way to ensure I get your information. Thank you for reading all the way through and thank you so much to all of you who donate!